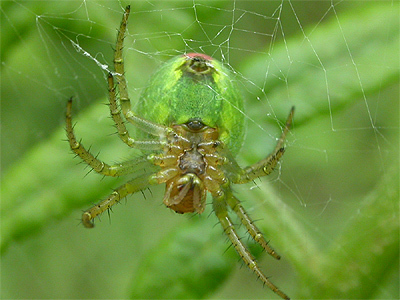 The two common species of Araniella spiders are the most likely species to be met with in Nottinghamshire. There are several rarer Araniella species which could possibly occur in Nottinghamshire, but which would also have to be supported by a specimen in order for any records to gain acceptance. 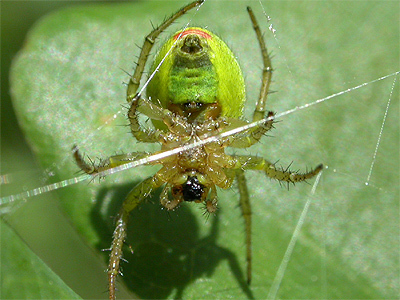 Araniella cucurbitina and Araniella opisthographa are the two spiders most likely to be encountered in the field and are not seperable visually. While both species might be classed as common, A. opisthographa seems to be the less common of the two. When checking mature females at Sherwood Forest Country Park in 2010, cucurbitina out-numbered opisthographa by 5/1. 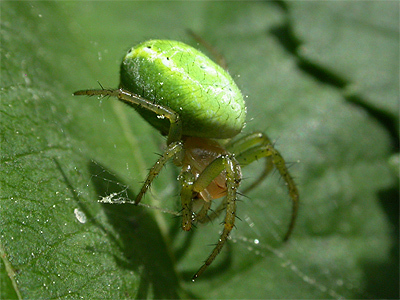 A very common spider of trees and bushes, Araniella cucurbitina is abundant during the Spring and Summer throughout the Sherwood Forest NNR and found at most sites we have visted, including on Lilac in our own garden. 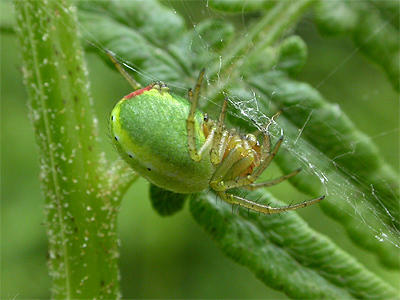 Araniella opisthographa is a fairly common spider of trees and bushes during the Spring and Summer throughout the Sherwood Forest NNR and probably other sites locally. 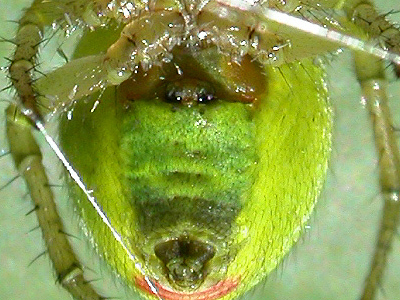 Both Araniella cucurbitina and Araniella opisthographa are visually identical in the field, but by photographing the underside of females and in particular the epigyne, the two can be seperated by careful examination of any resulting photographs. 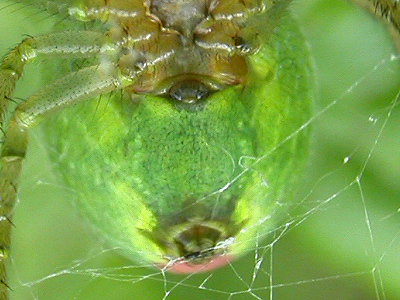 Photographing the epigyne in the field is quite easy as both species have the habit of being on the underside of the web, which is small and often constructed across a leaf.